Former Cowboy wrestler and current UFC light heavyweight and heavyweight champ Daniel Cormier is reportedly in talks with the UFC to fight Derrick Lewis for the heavyweight title at UFC 230 on November 3. Lewis had one of the most talked about post-fight interviews in UFC history this past Saturday after knocking out Alexander Volkov. 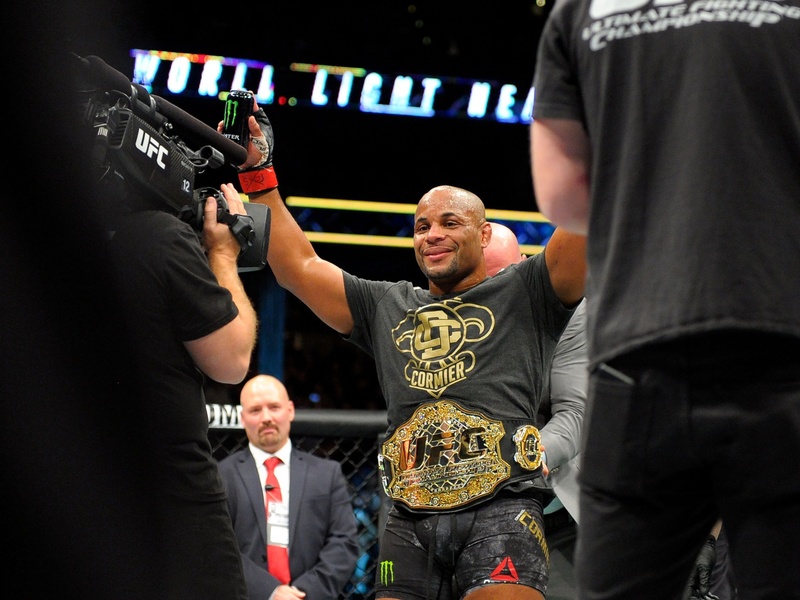 In Cormier’s last fight he picked up the UFC heavyweight title over Stipe Miocic. After the fight, he called out Brock Lesnar. Lesnar then charged the ring leading most to believe that would be the next big fight for the former Cowboy. The fight with Lesnar was certain to be Cormier’s biggest payday to date. It will be interesting to see if this fight vs. Lewis materializes or if he waits for the big money fight with Lesnar.